August is full of amazing releases and surprises. It is does not matter that now is back to school season when new animation DVDs are coming out. New The Teen Titans try to keep things as crime-free and boredom-free as possible as Warner Bros. Home Entertainment introduces Teen Titans Go! : House Pests Season 2 Part 2 on DVD on August 18, 2015. I am always impressed how kids remember the names of characters and what they did, their powers and skills. 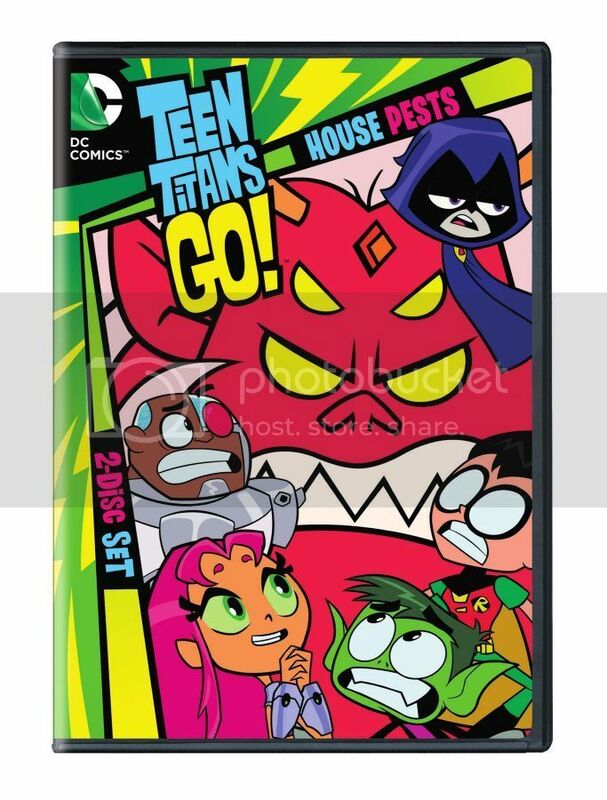 For our US readers we are excited to gave a chance to win Teen Titans Go! : House Pests Season 2 Part 2 on DVD which is about to hit the stores tomorrow. The giveaway ends September 2, 2015 and open to US residents only (no P.O.Boxes please). Good Luck! We have not seen this series, so we don't have a favorite character yet. My grandaughter likes the one with the purple cape that looks like a cat. Sorry dont know characters even though I watch it with her. My son loves Beast Boy and my daughter loves Raven! my son likes beast boy. My grandson likes Beast Boy the best.